Cash rebate credit cards are getting popular. More and more card issuers introduce cards with this features and many cardholders prefer this kind of benefits rather than reward points. Due to so many choices, consumers may get confuse and do not know which card to apply. Hopefully, with this compilation or comparison, it will easier for them. The table below is the list of cards that offers excellent cash rebate to the cardholders throughout the year. 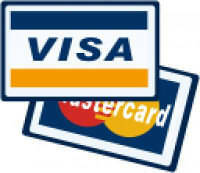 Bear in mind that cards that have limited time cash rebate or cash rebate promotions are excluded from the list. OCBC is upgrading their existing titanium credit card to offer an excellent cash rebate on all transaction made. The highest cash rebate is 5% based on spending made on petrol, grocery, bills and dining. On other transaction, they offering 1% rebate. On top of cash rebate, they also offer sign-up offers such as 0% interest, 0% balance transfer and no annual fee for first year. For subsequent years annual fees will be waive with 12 times transaction on previous year. OCBC also may pay your annual RM50 government service tax is you spend more than RM10,000 per year.